An early and very cold start away to Ascot, so early in fact that I had to wake Amani, but he was in his kit and out the door in lightning speed. Half-term meant we had to play with only 10 vs the 11 of Ascot but the way the boys started you wouldn’t have guessed they were a man down. Fergus revelled in his deep midfield role and after just a minute he hit a looping shot from the left hand side of the box over the keeper to put the Blues ahead. Burghfield dominated with some lovely combination play down the left wing and after 9 minutes Fergus and Tom combined to get the ball to Joseph in the box who finished for his first ever Blues goal. Time and again the Blues got the ball up to lone striker Archie who showed great strength to hold off defenders and had a number of chances on goal. The 0-2 curse hit once again when the Blues conceded against the run of play and for a minute it looked like we were going to let Ascot back into the game but the boys regained composure and on the half-hour Tom and Curtis combined to get Morgan in to make it 1-3 at half-time. Second half began in a similar vein with the Blues playing some nice football and creating chance after chance but as the boys began to tire Ascot applied some pressure and after some scrappy play in the box forced another goal. Somehow a game that the Blues had dominated and should have been well clear in was now close on the score-sheet. With 20 minutes to go Curtis gave Amani a break from goal and the Blues started to mount pressure again. Tom started to take on the full-back more and put in a number of dangerous crosses and made one mazy run which almost resulted in him walking the ball into the net. With 10 minutes to go Archie was fouled heavily from behind on the edge of the area and Miller stepped up to fire a low shot in for his first goal of the season. 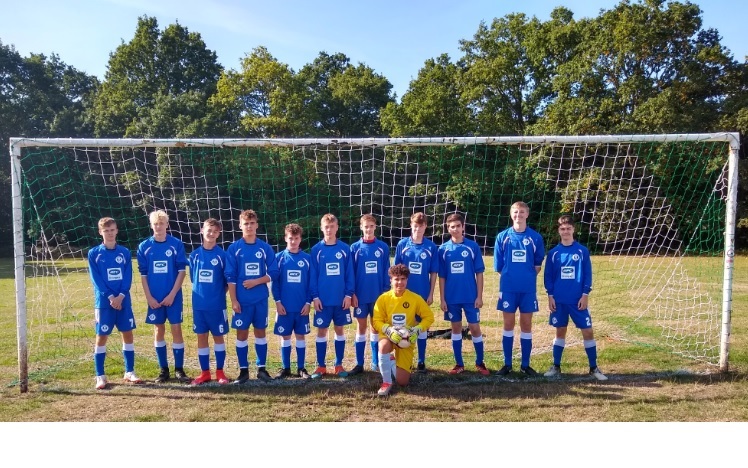 The Blues were now well on top again and with Amani making a composed outfield debut Burghfield were not troubled again. A very impressive performance from all 10 Burghfield players with Man of the Match going to Archie who played really well up front on his own.